One of the muses for our winter photoshoot was Josephine Baker, an American born French dancer, singer and actress. She was often accompanied on stage by her pet cheetah, Chiquita, who wore a diamond collar. The cheetah frequently escaped into the orchestra pit, where it terrorised the musicians, and entertained the audience! During WWII she worked as a French spy, smuggling secret messages on her sheet music. She also adopted 12 children from around the world in a show against racism (take that Angelina Jolie!! ), and was allegedly proposed to 1000 times! 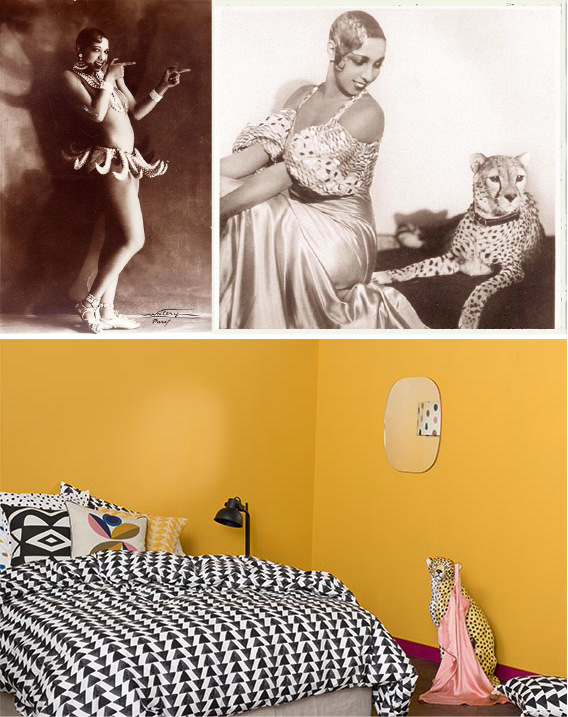 Above are two famous images of Josephine Baker, and the hero shot we created inspired by her colourful life.